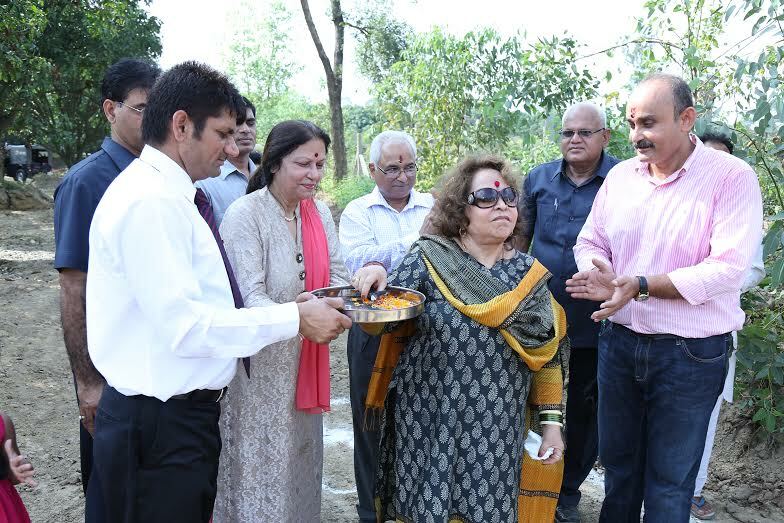 Saharanpur, 25 September, 2015: Mrs. Salma Ansari wife of the Hon’ble Vice-President of India Dr. Hamid Anasari, laid the foundation stone of Aruna Educational Trust and formally launched Arushi Group today at “Pitrachaya” Dist. Saharanpur UP. The day was marked with a lot of auspicious beginnings and laying of the foundation stone of Aruna Educational Trust, which will run schools, with the help of Al Noor Charitable Society. Arushi Group will be dedicating land, towards the cause to support the education of poor and underprivileged children. Arushi Group is currently executing its first phase of development plan in 2015. Sarvajit has been a marketing stalwart with an experience of close to 2 decades in luxury auto sector. His previous tenure was as a CEO at Bird Automotive Pvt. Ltd. and before that with Audi Noida and Audi Delhi West as the Executive Director. His rich multi fold experience across the dimensions of marketing, sales, execution and new business developments made him take the plunge of quitting his comfortable job and starting his own venture. “There should be brotherhood among people and our first aim should be to serve our nation in the best possible manner.” said Mrs. Salma Ansari who has been a driving force behind Al-noor Charitable Society and its endeavour to eradicate illiteracy. Col. Ashok Kumar, Mrs. Deepa Kumar & Dr. Sharmila Verma were the others present on the occasion from the family.Arushi Group is setting up offices in New Delhi, Dubai & London, with site office in Sarsawa, Saharanpur, UP in the first phase. It will spread its arms to Honk Kong, Singapore & New York in the second phase.